You Are Here: Home > Which Used Chevy Silverados Will You Find at a Dealership? Which Used Chevy Silverados Will You Find at a Dealership? The market for pickup trucks continues to see an upward trend, and brands are now pricing these vehicles accordingly. While there are certainly some affordable trucks out there, the reality is that these new pickups are starting to lie outside of many consumer’s targeted price range. Luckily, there is one way to work around the budget restrictions. By pursuing a used pickup, drivers can still appreciate all the capabilities that these vehicles deliver, but at a fraction of the price. Drivers can find low-mileage pre-owned trucks for less than $20,000, a considerable savings over a new pickup. Of course, regardless of whether you’re pursuing a new or used pickup, the logical choice is to target Chevy’s trucks. The brand has continued to roll out impressive pickups over the year, led by their iconic Silverado. While a bottom-barrel 2016 Silverado will cost you at least $28,000, you can find a fully-decked-out previous-year model for an equal or lesser price. Sure, you may be stretching back to the second generation of this nameplate, but that doesn’t mean the pickup is any less capable. The 2011 Silverado is still a behemoth of a truck, and the mighty vehicle will provide all the power and muscle you need to overcome any worksite or adverse conditions. While the 2011 Silverado is normally equipped with the 4.3-liter V6 engine (which provides quite the punch at 195 horsepower and 260 pounds-feet of torque), several of DePaula’s pre-owned trucks are equipped with the Vortec 5.3-liter V8 engine. This unit delivers increased power specs at 315 horsepower and an incredible 338 pounds-feet of torque. You’d be hard-pressed to find this kind of power from a new pickup, much less a used model. Partnered with a six-speed automatic transmission, drivers can also expect solid fuel efficiency from this vehicle. The unit pumps out a 15 city/21 highway mile per gallon fuel efficiency, so cost of ownership should hopefully be kept to a minimum (at least when compared to other pickups). Depending on which 2011 Silverado you opt for, you may find yourself acquiring a pickup that offers a whole lot of amenities. A Heavy-Duty Handling/Trailering Suspension Package is available on the pickup, transforming the Silverado into the ultimate hauler. An antilock brakes system and a low tire pressure warning will allow drivers to maintain control of their pickup, while the traction control, power steering, and dual front side impact airbags should keep the vehicle (and its occupants) our of harm’s way. Just because the vehicle is five-years-old, it doesn’t mean it’s lacking any modern technology. Drivers still have access to satellite radio, and the MP3 decoder will allow passengers to enjoy their favorite tunes via their smartphones. All of this music can be enjoyed via a six-speaker audio system, allowing for an excellent listening experience. 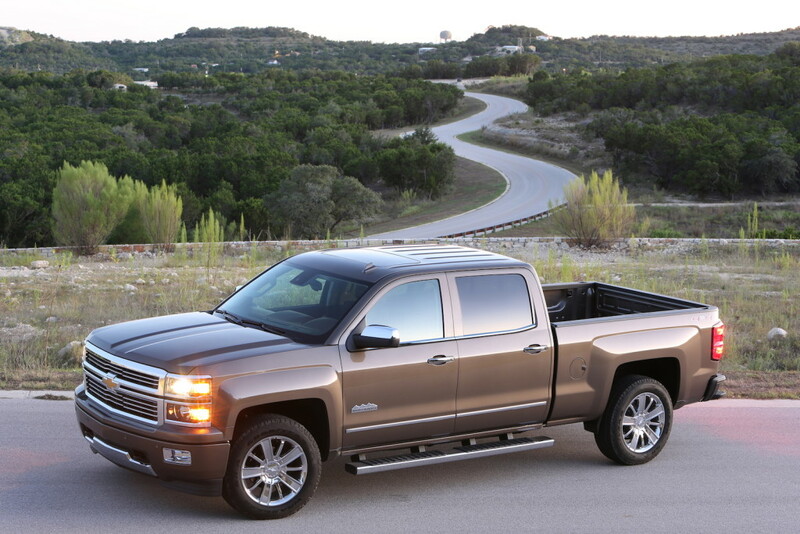 If you’re looking for a current-generation Silverado, a 2014 model is a logical choice. This particular pickup carries over several features from the previous generation, including the EcoTec3 5.3-liter V8 engine. While power specs are generally the same (as is the six-speed automatic electronic transmission with overdrive), the fuel economy has been boosted a bit. Drivers can expect the unit to deliver a 16 city/22 highway mile per gallon fuel efficiency, putting the unit on par with many rival pickups. Technology has been upgraded a bit, as the cabin now features an HD Radio and access to SiriusXM Satellite Radio via the brand’s MyLink infotainment center. A new Bluetooth system allows drivers to seamlessly connect their smartphone to the ride, allowing them to make hands-free phone calls. The MP3 decoder and CD player both return, as does the six-speaker sound system. The 40/20/40 front split bench seat allows for maximum versatility when it comes to loading cargo, as does the 60/40 folding bench seat. If drivers would rather take advantage of their truck’s bed cargo space, they can easily load or unload all of their cargo thanks to the EZ lift technology and the lower tailgate. 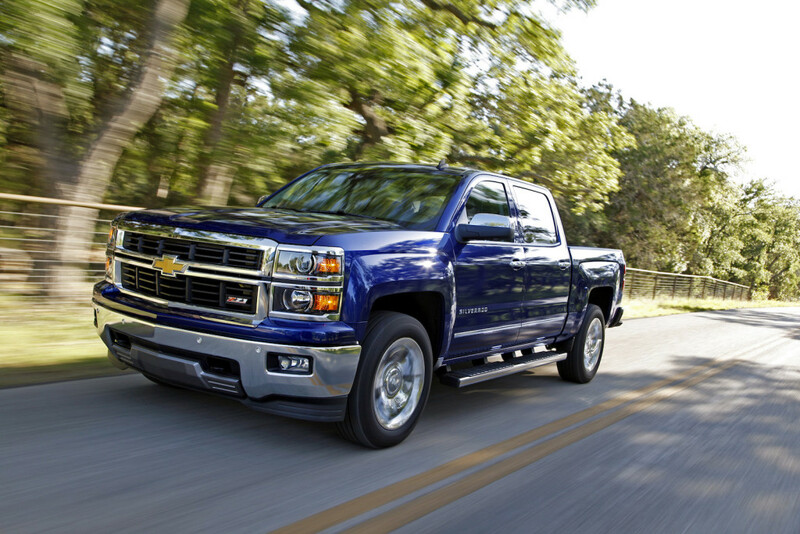 If you’re looking for the newest Silverado without pursuing a “new” model, then the 2015 is your only choice. Luckily, there are a number of amenities and capabilities that helps separate this particular pickup from a previous model. Aesthetically, the 2015 Silverado includes a new grille, a more rectangular body, and a brand-new wheel design. The interior underwent larger revisions, as the dashboard layout was revamped to include a new LCD gauge cluster, a new control stack, air vents, and a larger infotainment screen. Several comfort and entertainment features have also been added to the pickup, like a heated steering wheel, ventilated seats, and a new Driver Alert safety package. Drivers can rely on the lane departure warning, forward collision warning, and other technological safety inclusions to keep their used pickup safe and secure. The standard engine’s size has been boosted to 6.0-liters. The V8 also pumps out a bit more power than its predecessor at 360 horsepower and 380 pounds-feet of torque. The 6.6-liter turbodiesel V8 won’t be found at DePaula, but it’s still worth exploring the 397-horsepower and 765 pounds-feet of torque (that isn’t a typo) pickup. Both of these engines are paired with the brand’s trusty six-speed automatic transmission. There’s only one pre-owned 2015 Silverado sitting on DePaula’s lot. With 6,037-miles on the odometer, the truck is selling for $34,000. Sure, it may be mostly Silverados that are flooding these used dealership’s lots, but considering all the pickup has to offer, we don’t see this as a bad thing. Drivers can still expect a powerful and reliable engine, plenty of technology, and an array of safety features from their Chevy truck, regardless of which year they opt for. Why dish out more money on a new pickup truck when you can an equally-capable vehicle for a fraction of the price? 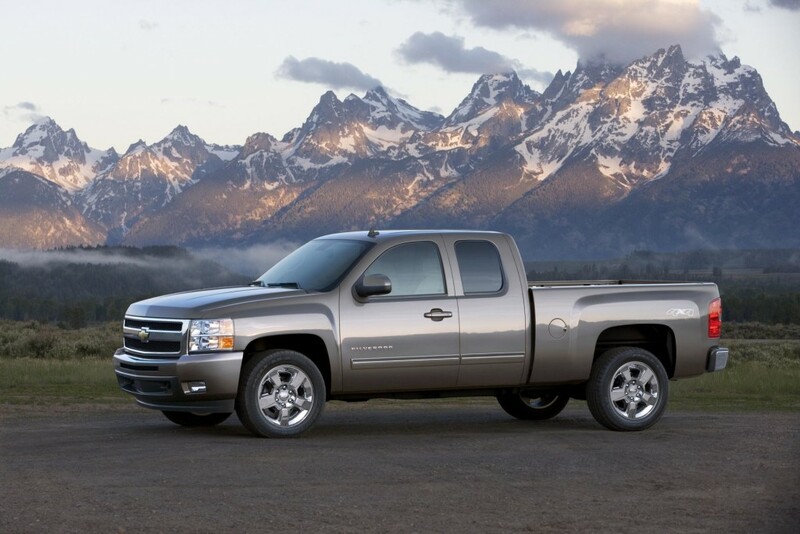 The benefits are evident, Chevy trucks a perfect choice for used car buyers.